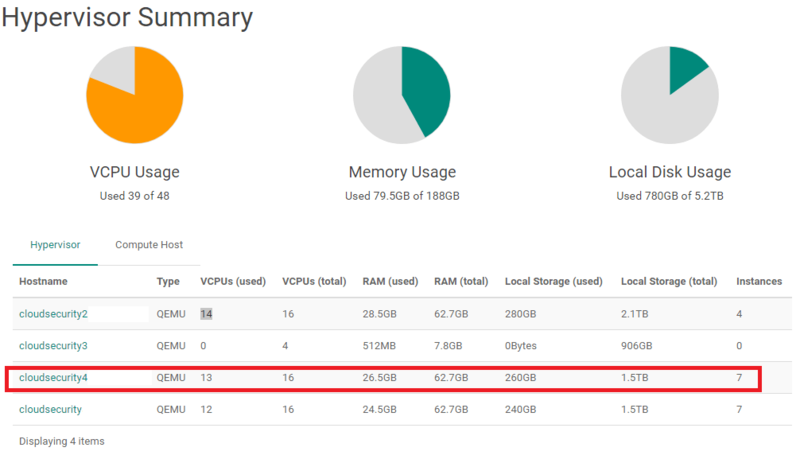 Below is the snapshot of Hypervisor Summary page displaying the usage statistics of all compute hosts. In my case, the compute host (cloudsecurity4) was not reporting the correct usage stats. I expected the usage stats to change when new VMs are launched, but that was not the case. 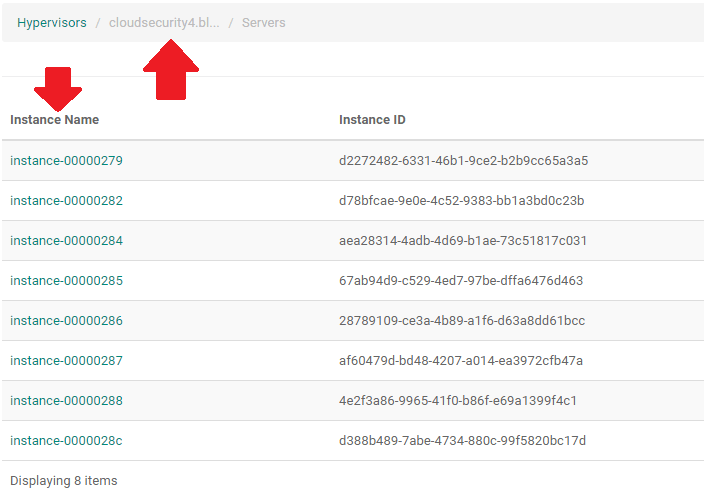 The below snapshot shows the number of VMs that are scheduled on compute node “cloudsecurity4”. Do you face similar issue in OpenStack Mitaka? Then, here’s how I fixed the issue. Step 1: Lookout for any error message in compute host. ERROR nova.compute.manager Stderr: u"qemu-img: Could not open '/var/lib/libvirt/images/test-1.qcow2': Could not open '/var/lib/libvirt/images/test-1.qcow2': Permission denied\n"
The above error message says ‘qemu-img‘ is not able to open an image that’s stored in /var/lib/libvirt/images folder and surprisingly, it was looking for test-1.qcow2. I’m not clear why Nova was even trying to run qemu-img on test-1.qcow2 file, because I don’t see any instance running in the name of ‘test-1‘ nor I remember one was running before. Even if an instance named ‘test-1‘ was running before, why Nova was even attempting to read that image now? Well, the answer to that question still remains blank to me. However, the permission denied error tempted me to check the permission of the folder ‘/var/lib/libvirt/images‘ and it was owned by user ‘libvirt-qemu‘ and group ‘kvm‘. So what do you think I would have done? Of course, I changed the ownership of the folder to ‘nova:nova‘ thinking that nova-compute service should not have a problem in reading the image files. Step 2: Provide permission for nova to read images in /var/lib/libvirt/images folder. You know what? 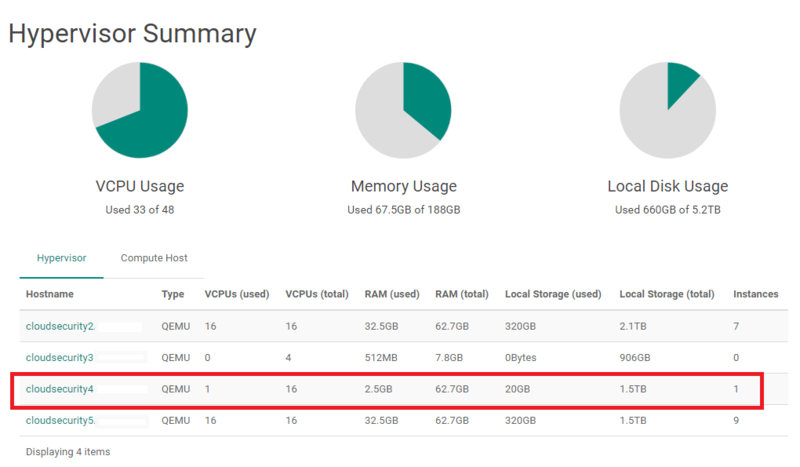 The Hypervisor summary started showing the correct usage statistics for compute host (cloudsecurity4). I did go back to nova-compute log file to see what it says now. WARNING nova.virt.libvirt.driver [req-9305df9b-d716-4c3c-bc3e-b75945f85ed8 - - - - -] Periodic task is updating the host stat, it is trying to get disk test, but disk file was removed by concurrent operations such as resize. From the above snapshot, it was clear that nova.compute.resource_tracker was reporting the correct usage statistics of the compute host. There’s also a bug report that talks about this issue.